What better way to include consumers in a regular conversation with you than through Twitter? With 280 character Tweets, it’s easy to hear what your consumers have to say, include them in a conversation, and create a positive brand image. Create Twitter dashboards to get an even better understanding of what your clients like, engage with, and react to. Create your Twitter dashboards today! 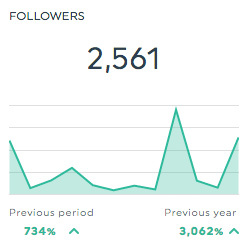 This historic widget shows the rate at which your Twitter followers engage with your content. It is calculated by dividing the total number of engagements by the total number of your followers, then multiplying the result by 100. This historic widget shows the total number of mentions your Twitter handle has. This list widget shows your retweeted posts, in order of number of retweets. This historic widget shows the total number of followers your Twitter page has. Want to see all our Twitter preset widgets? 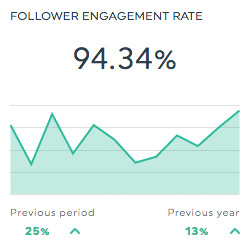 This shows the rate at which your followers engage with your content. This shows the total number of followers your page has. This shows the total number of times your Twitter handle was mentioned. This shows the total number of times your content was retweeted. This dimension allows you to isolate your data based on post. 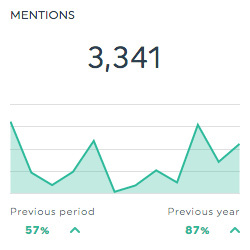 Want to see all our Twitter metrics, segments & dimensions?